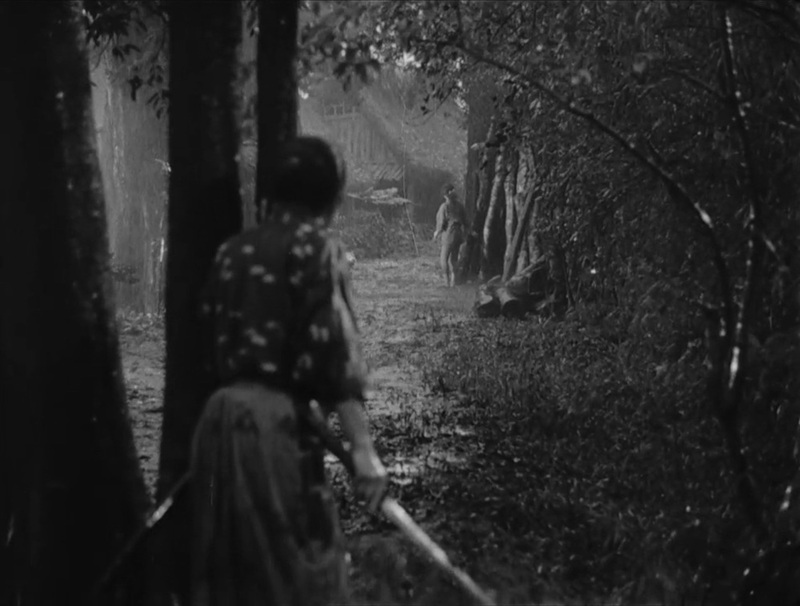 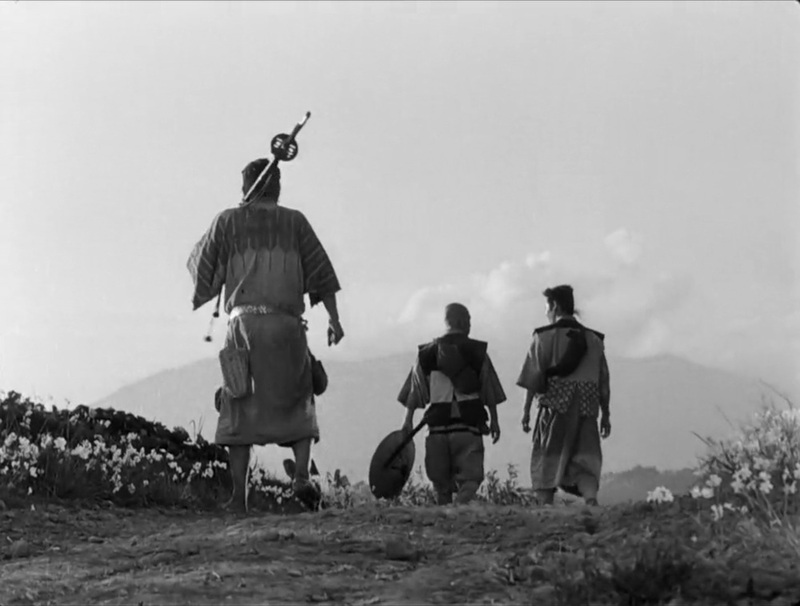 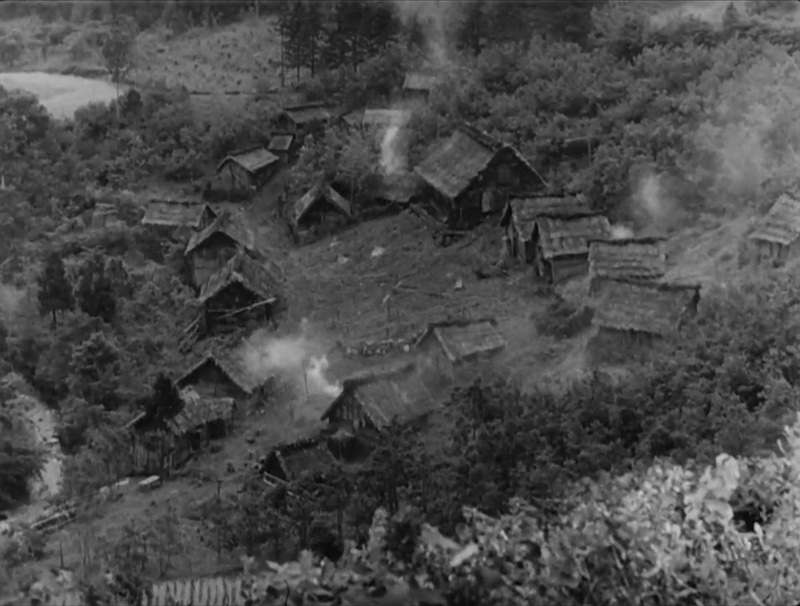 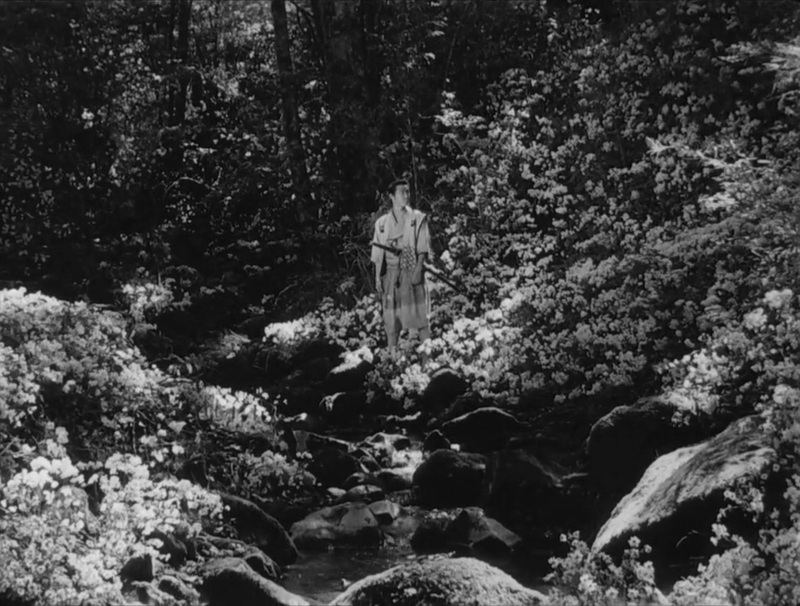 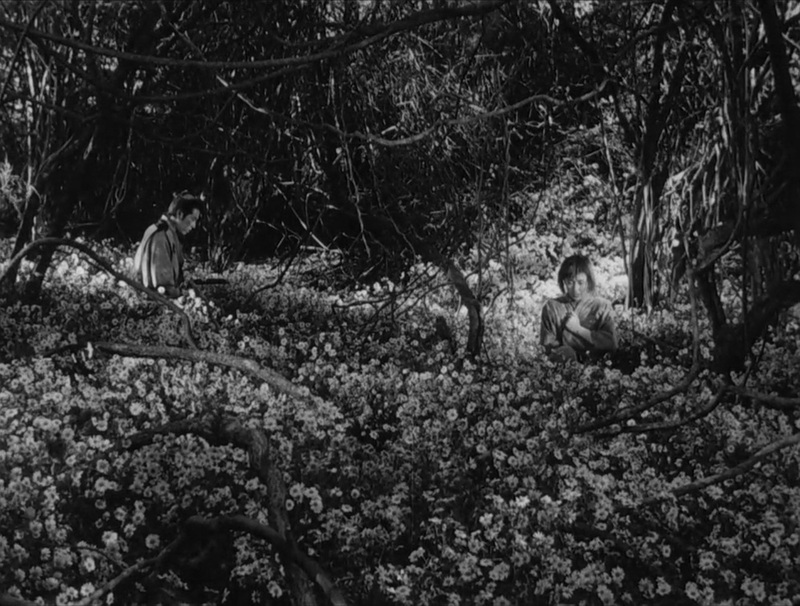 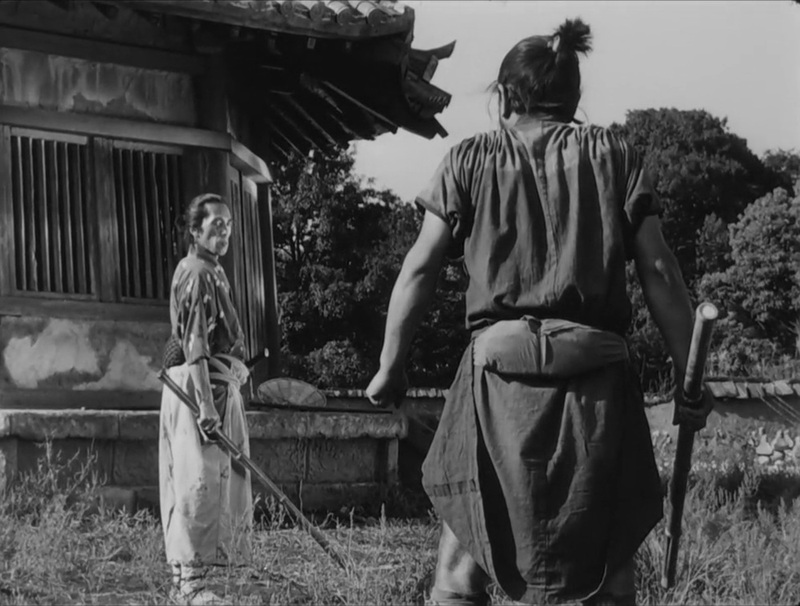 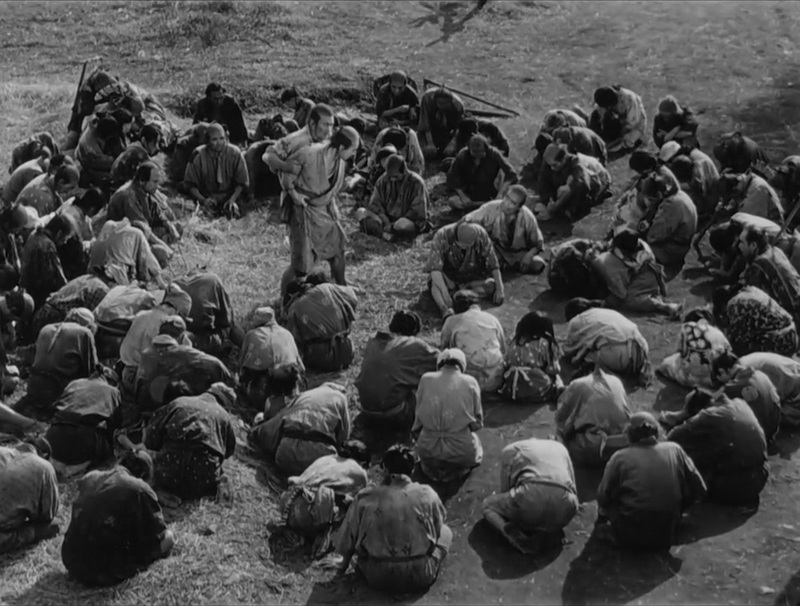 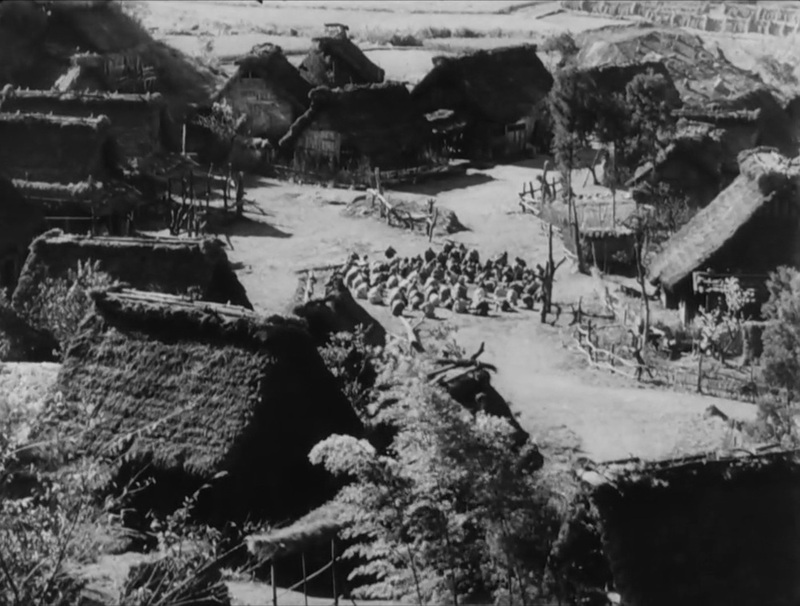 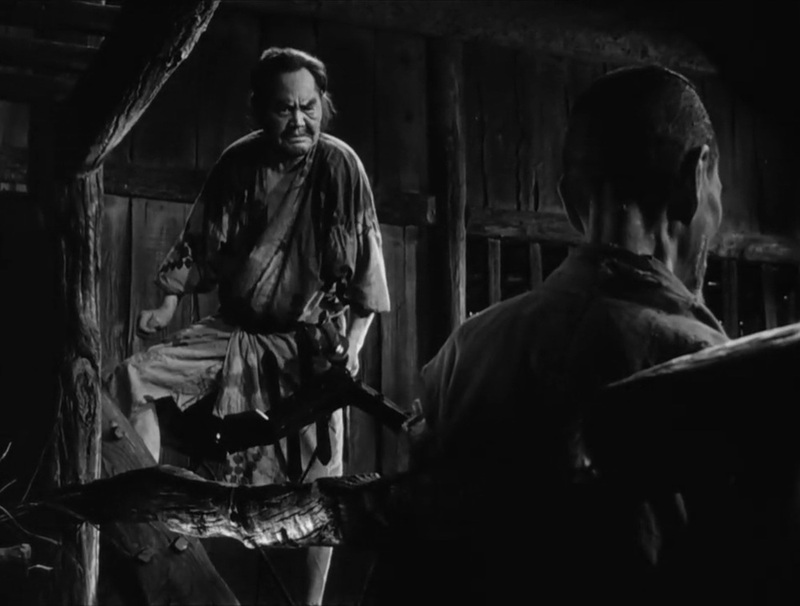 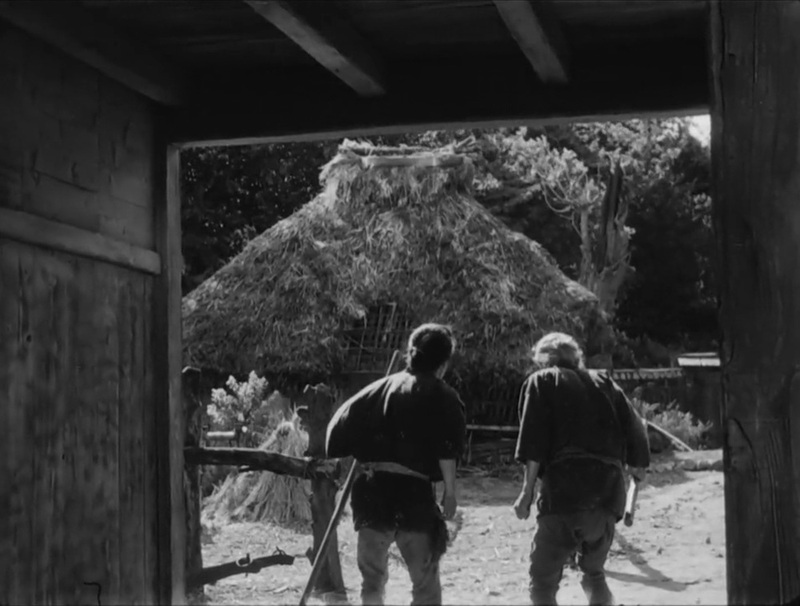 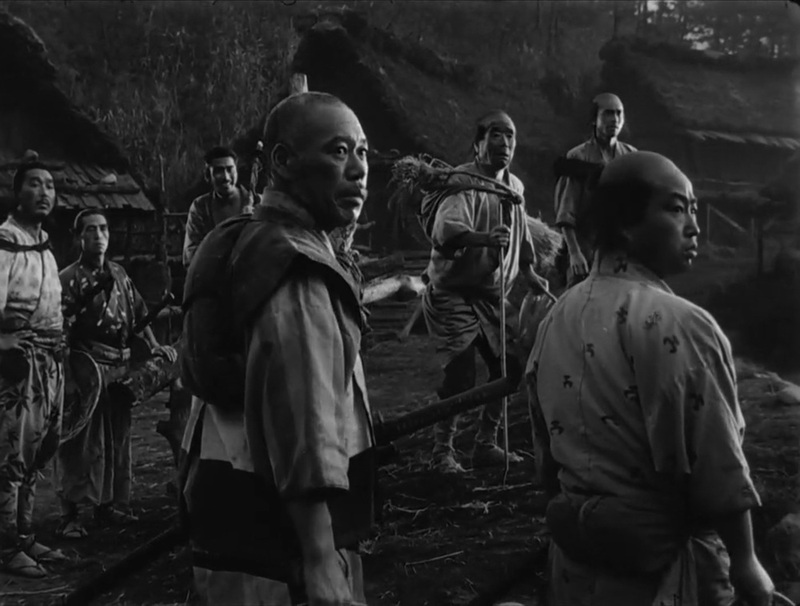 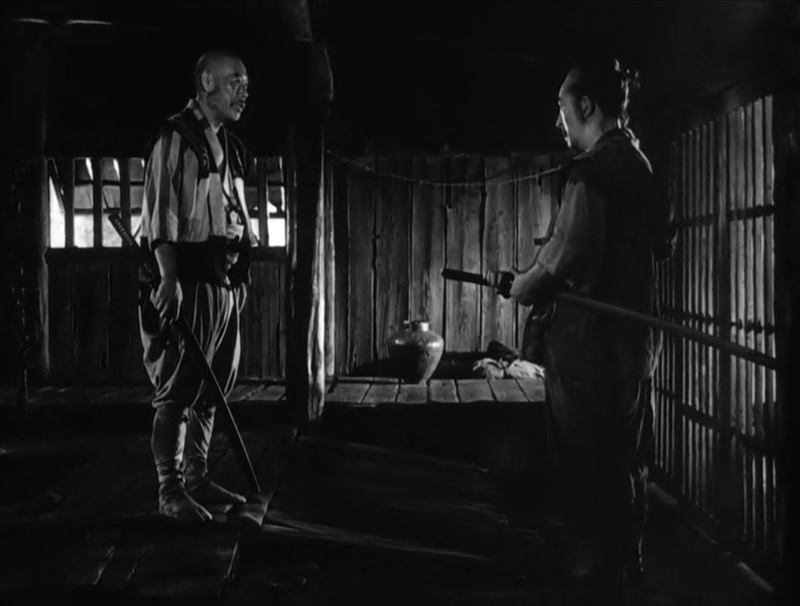 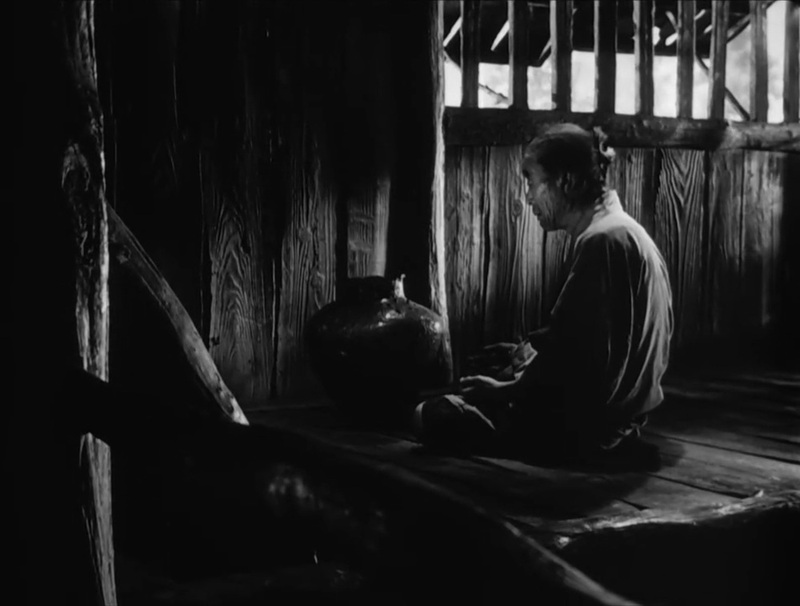 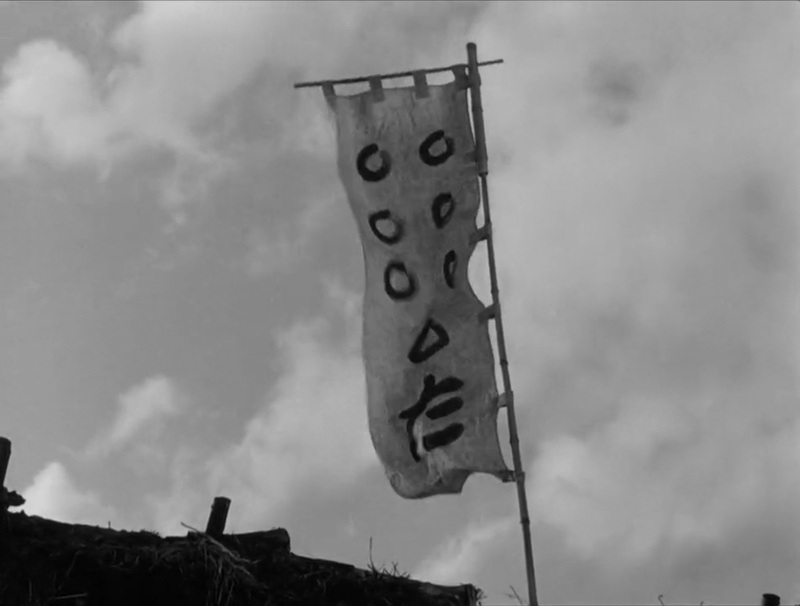 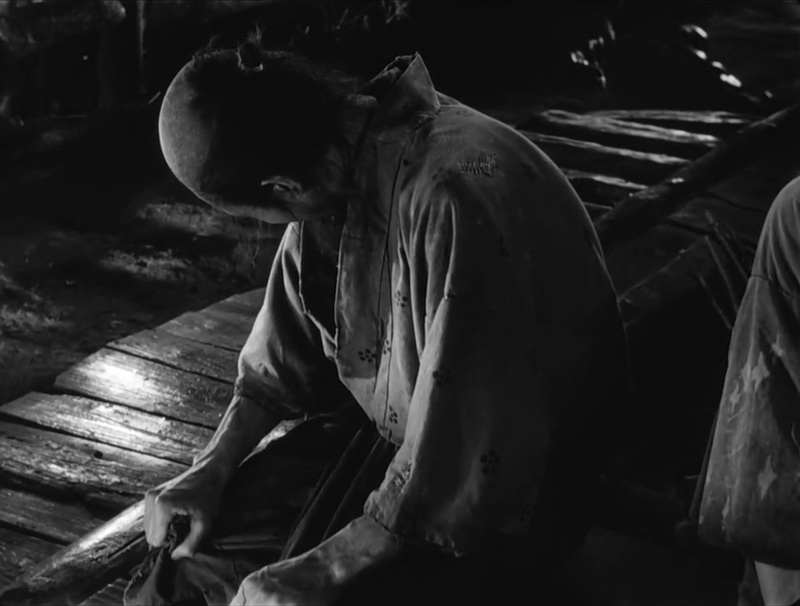 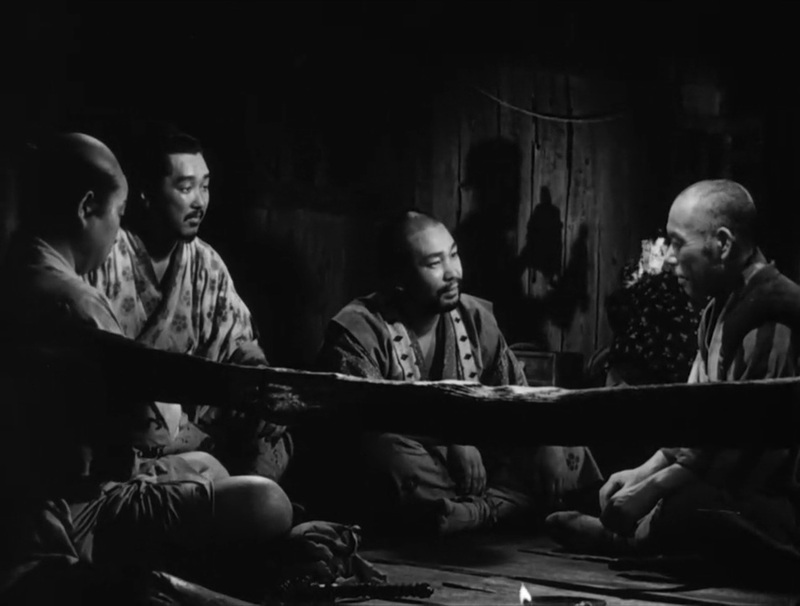 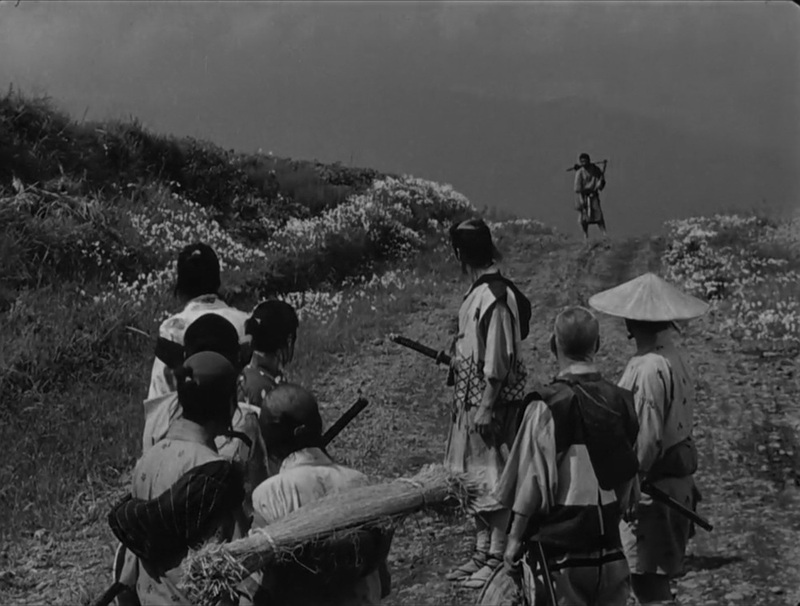 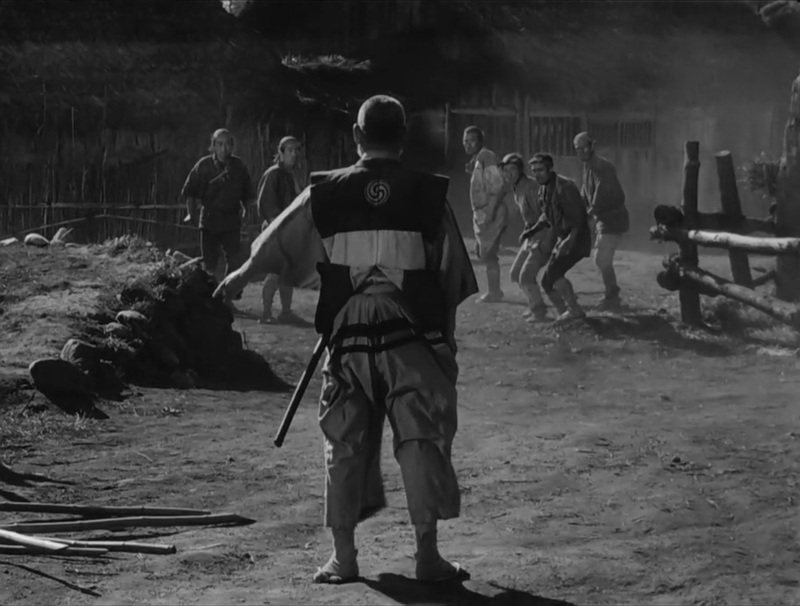 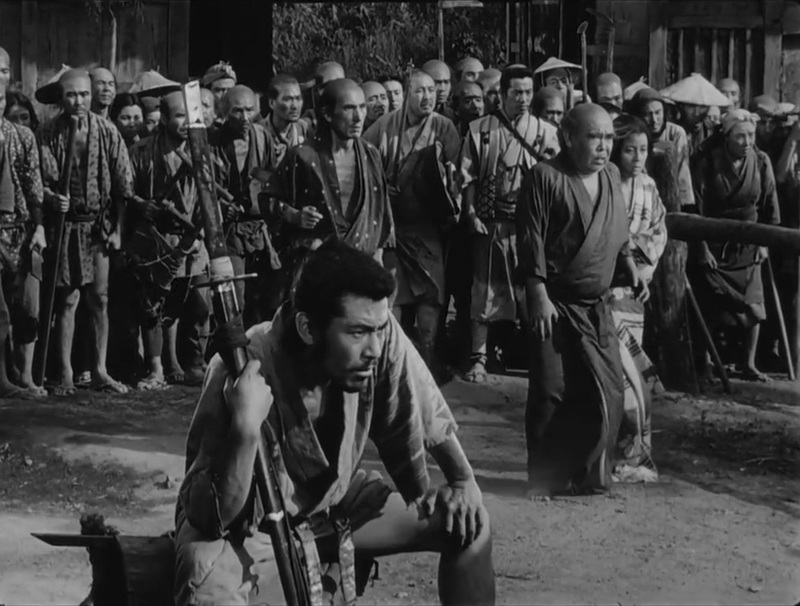 One aspect of Seven Samurai's imagery I find striking is the utilization of vertical space within the frame (often emphasized by the use of a long lens). 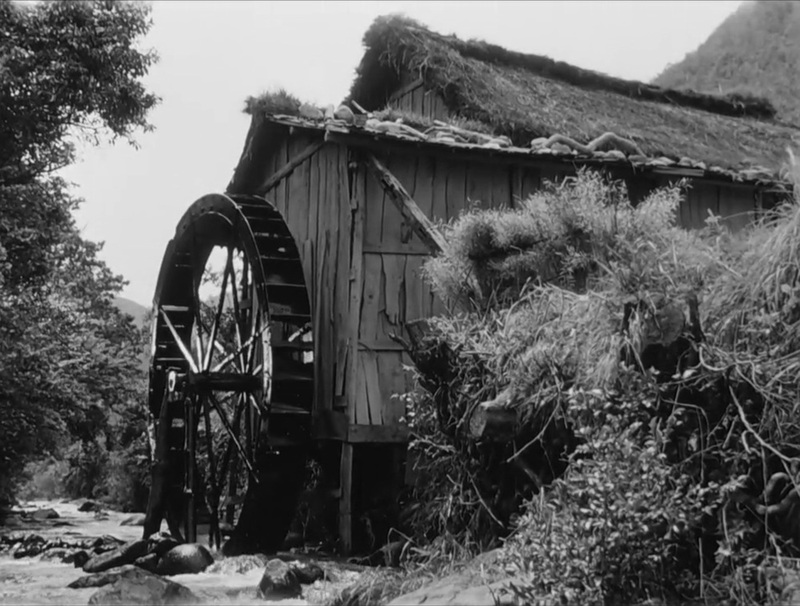 As Blain Brown conveys in his book Cinematography: Theory and Practice this stems from the influence of traditional Japanese and Chinese art on Kurosawa. 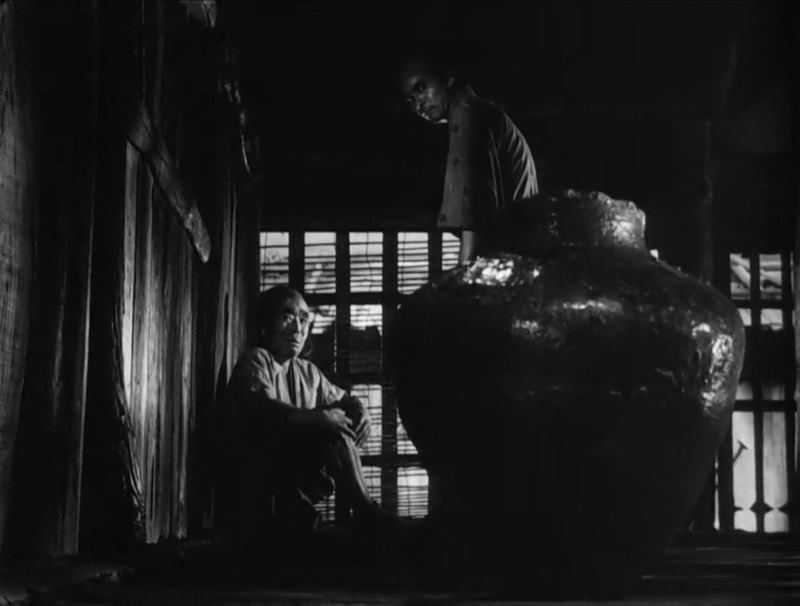 Rather than relying on linear perpective, depth was indicated by shifting the viewer's perpective downward from a raised point so spacial relationships were defined by characters or objects appearing above or below one another.